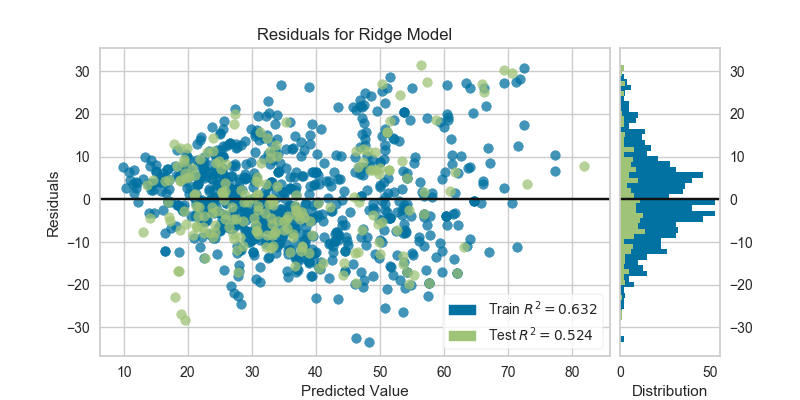 Residuals, in the context of regression models, are the difference between the observed value of the target variable (y) and the predicted value (ŷ), e.g. the error of the prediction. The residuals plot shows the difference between residuals on the vertical axis and the dependent variable on the horizontal axis, allowing you to detect regions within the target that may be susceptible to more or less error.